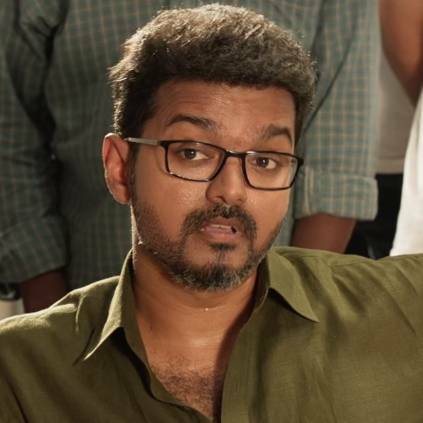 Thalapathy 63 is an upcoming film that has Vijay in the lead role, with Nayanthara playing the leading lady. It is directed by Atlee, and produced by Kalpathi S Aghoram, Kalpathi S Ganesh, and Kalpathi S Suresh under the banner AGS Entertainment. The film has a strong technical crew consisting of GK Vishnu as the cinematographer, AR Rahman as the music composer and Ruben as the editor. The supporting cast includes Vivekh, Jackie Shroff, Reba Monica John and others. "After Kuruvi, we are working for the first time now. Atlee cast me in the film because he wanted the magic of our combination back. After joining the sets, Vijay said 'Anna Romba Sandhosham na ungaloda sendhadhu, kalakkuvom na'. I'm really looking forward to the film... as much as the audience are waiting." Vivekh is awaiting the release of Vellai Pookal, that is hitting the screens on 19th April 2019. The film has Vivekh playing the role of a cop in USA, and it is a serious role, in contrast to the comical roles he's been playing for a long time. People looking for online information on Atlee, Thalapathy 63, Vellai Pookal, Vijay, Vivekh will find this news story useful.